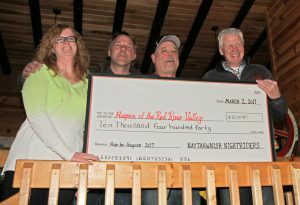 The Naytahwaush Nightriders Snowmobile Club recently announced that this year’s Hospice Ride, held in February, raised $10,440 for Hospice of the Red River Valley. Thirty-two riders participated in the event, which took them from Naytahwaush to Park Rapids, Minn. 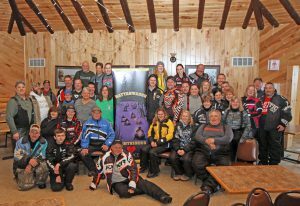 The Nightriders presented a check to Curt Seter, development officer for Hospice of the Red River Valley, at their annual Snodeo, which was held March 4-5. The group has raised $93,055 through 13 years of Hospice rides.